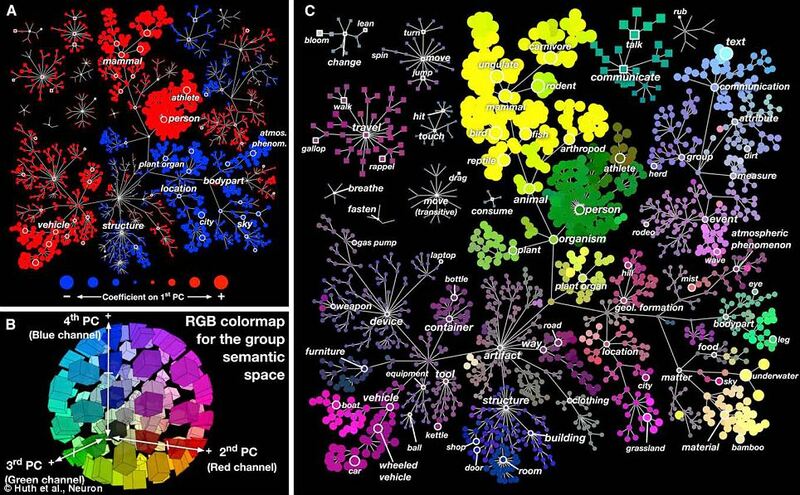 The team at Gallant Lab at UC Berkley has been looking at how the brain processes and maps words/subject/objects. (Their recently published paper in Neuron) The result is a fascinating look into the workings of the brain and yet more evidence that we have only barely begun to uncover the mysteries of the mind at work. Check out the video below explaining the research and then head over to their site where you can play with the data yourself (they recommend using Chrome as your browser). What role does background knowledge play in the shaping and writing the semantic map? Do the semantic maps look different when focused on a single topic — such as vehicles, buildings, or plants? How might this research inform methods of vocabulary instruction? If the information were provided in different contexts or delivery methods (text or verbal rendering vs. movie clip rendering), are the areas of the brain that are oxygenated different? What implications might this have for classroom learning? Such research illustrates, once again, how little we know, and how much more there is yet to learn. What we do know is this: students’ minds are complex and pliable. The experiences and environments we design and deliver help shape how they process, understand, and interact with the world. It is up to us to make those experiences worthwhile. Want to know more? Read Ben Thomas’s piece, “Meaning and the Brain: How Your Brain Organizes Reality” at Scientific America.